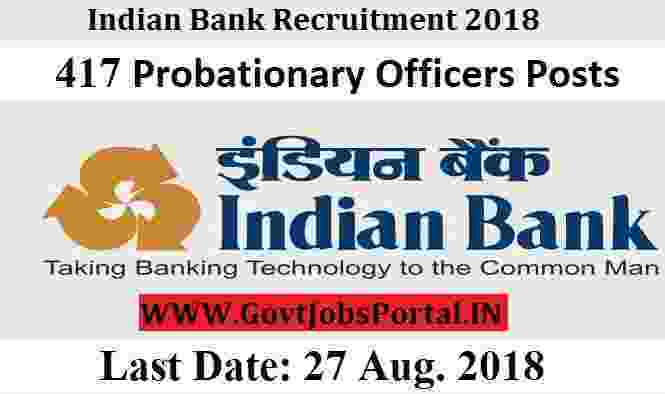 in the official PDF file related to this Indian Bank PO Recruitment 2018. Bank Branches all over India. can apply for these Bank jobs in India. the complete steps on how to apply online through the official website. in any of the data filled in the online application will be possible. the Guidelines for Scanning and Upload of Photograph and Signature (Annexure). the online application form and modify the same if required. you click on the Submit Link, No change is permitted after FINAL Submission. is the Last Date to apply. is the Date of Mains Exam.